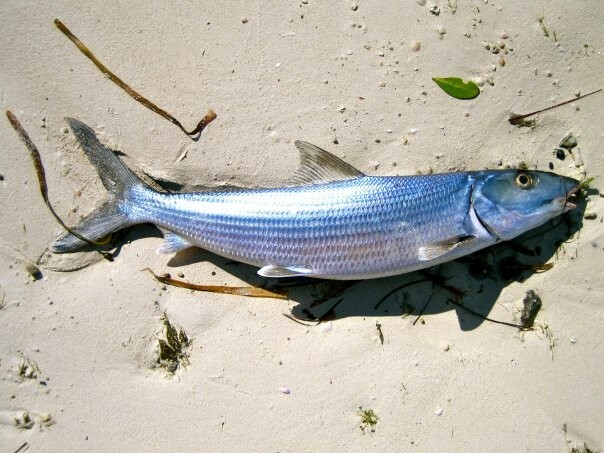 This is a Bonefish. Photo by Samantha 2010 washed up on beach. Features: 1. Short, underslung mouth that ends before eye; 2. Single dorsal fin. 3. Deeply forked tail.